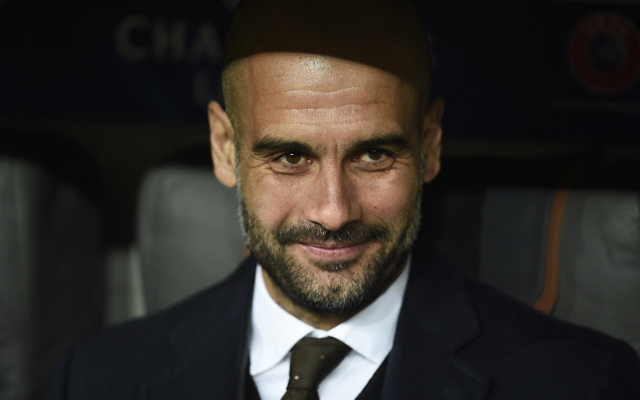 Manchester City have been handed a blow in their reported attempts to prize Pep Guardiola away from Bayern Munich as the Spaniard confirmed that he’ll at least see out his three-year contract which ends next season, BBC Sport reports. The pressure continues to mount on Manuel Pellegrini due to Man City’s capitulation in the second half of the season with the club now finding themselves in a top four battle. The recent fallout from Bayern’s defeat to Porto in the quarter-finals of the FA Cup last week, where the medical staff resigned due to being blamed for the defeat (via the Daily Mail), has given clubs hope that the former Barcelona coach will soon be available. “My future is: Wednesday free, Thursday training, and, of course, next year to be here. That’s my future,” Guardiola was quoted as saying. Bayern Munich remain on the brink of a Champions League exit in their quest to regain the trophy they lifted in 2013. The German giants were humiliated in last season’s semi-final against Real Madrid and failure to reach that stage again would constitute a disappointing season.